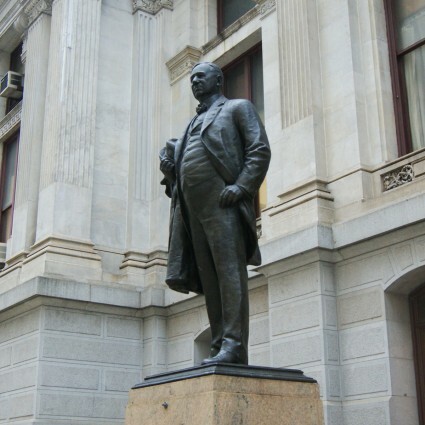 Created to represent Germany at the 1904 Louisiana Purchase Exposition in St. Louis, August Gaul’s Eagle is made of a unique “Durana” bronze that lends the sculpture its warm golden hue. 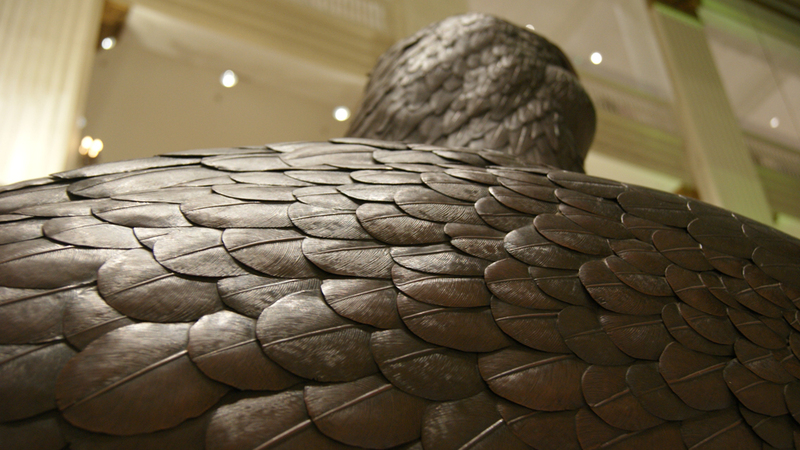 Each part of the 2,500 pound Eagle was hand-assembled and each feather individually attached. 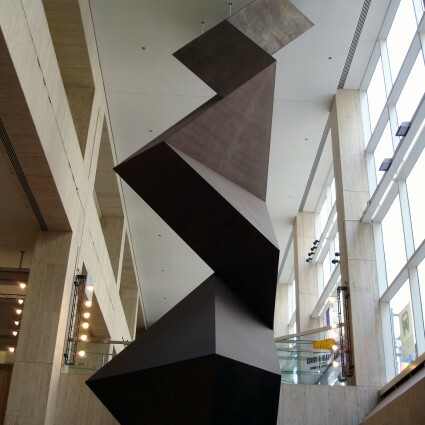 It took skilled workmen five months to complete the monumental piece. 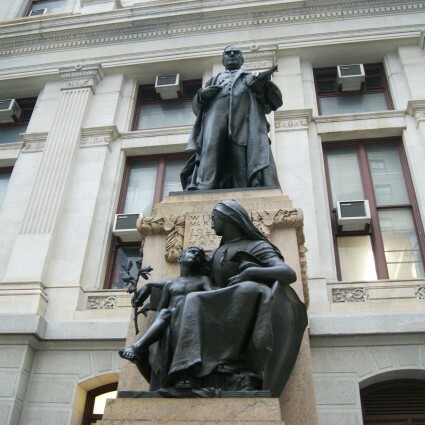 At the end of the fair, the sculpture was acquired by John Wanamaker for display in his store and has stood at that location (now Macy’s department store) ever since. 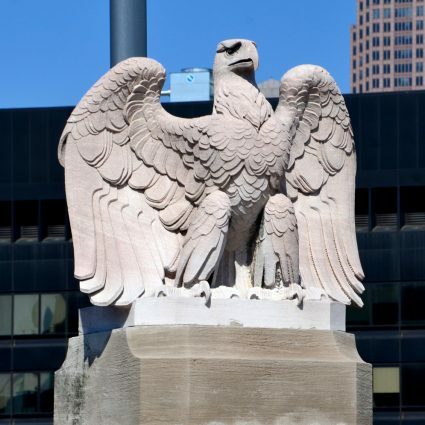 In 2001, the Eagle was designated a historic object by the city’s Historical Commission.